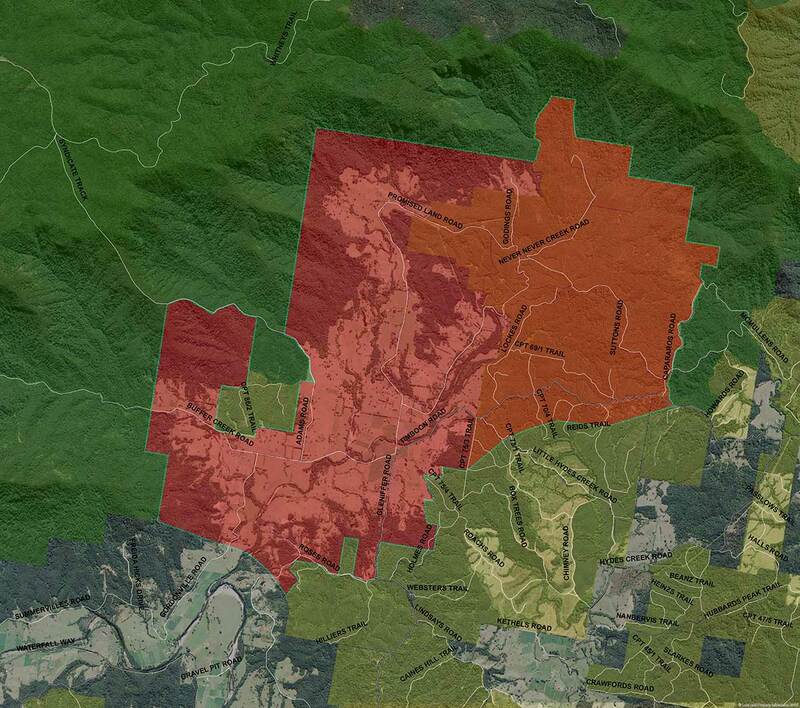 Key Partners: NSW Forestry Corporation, Forests-NNCG-Landcare Liaison, Bellingen Landcare. 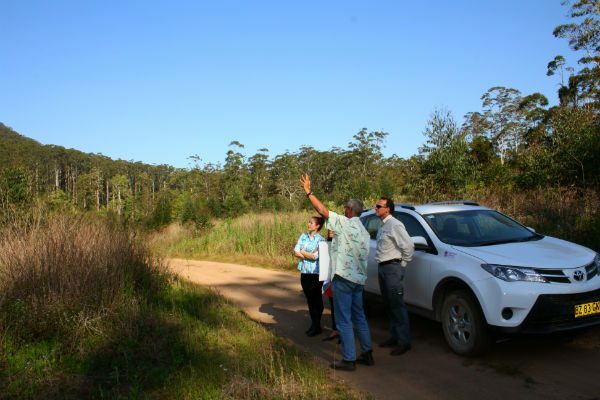 The Never Never connection provides an important buffer to the lower slopes of Dorrigo National Park and Bindarri National Park and provides habitat links between National Parks, State Forest and private property. 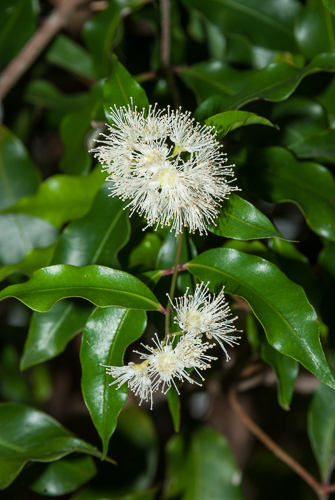 Situated in the Never Never catchment, this area protects aquatic ecosystems, habitat for numerous threatened species and important populations of the threatened rainforest tree Anetholea anisata. 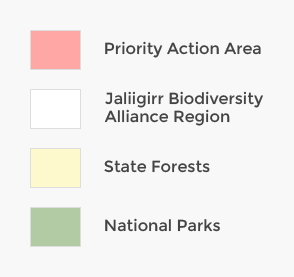 The Never Never connection is a priority action area for both the Jaliigirr Landscape Connections in the Great Eastern Ranges Project and the Connecting Communities and Cultures through Corridors Project (C4).